Property 3: Beach Front Kauai Beach Resort Top Floor Great Ocean/Pool View, New Renovation! Property 4: Beautiful Ocean View 2 BR & 2 BA on the Beach!!! by a Superhost!!! Property 8: Beachfront luxury resort, Top Floor Ocean View, King size bed. Property 9: Studio w/ WiFi, Resort Pool & Spa Near Art Galleries, Shopping & Hiking Trails! Property 10: Walk a Block to Uptown (Our Downtown) to the main shops, tours, restaurants. Property 11: Riverfront On The Colorado River- Snowbirds, traveling nurses, tourists. Property 16: ZERMATT RESORT BY WYNDHAM-- KING SUITE ONLY 15 MINS FROM PARK CITY! 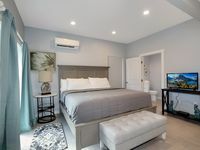 Property 17: Forget Me Not, Small Quaint Room In The Historic Bowery Inn. Property 18: OCEAN/POOL VIEWS FREE PARKING A/C WIFI KINGBED FREE RESORT PASS DELUXE ROOM! Property 19: Queen of the Night, The Bowery Inn's largest room with close deck access! Property 22: Beaches, Breath Taking Views, Hikes, Adventure Or Just Relax This Is For You! Property 32: Deep Creek 2BR Accommodations adjacent to Rancho Manana Golf Club. 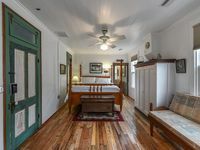 Property 34: Harpers Beauty, Charming Western Themed Room In Historic Inn! Property 37: Beautiful Waterfront Condo on Intercoastal Waterway! Steps from Beach! Property 38: Waikiki Banyan hotel/Ocean View/Remodeled/Free pkg/1Block from beach/Internet. Property 44: 2BR at Oceanfront Resort w/ Pool, Beach, Free WiFi & Near Attractions! Best Value In Telluride Town! Mountainside Inn Room 419. Remodeled. Property 48: Best Value In Telluride Town! Mountainside Inn Room 419. Remodeled. Property 49: 2 Blocks to Downtown w/o the high price tag! Love Colorado Summers, What are you waiting for?